Now, these are usually priced at about £10. 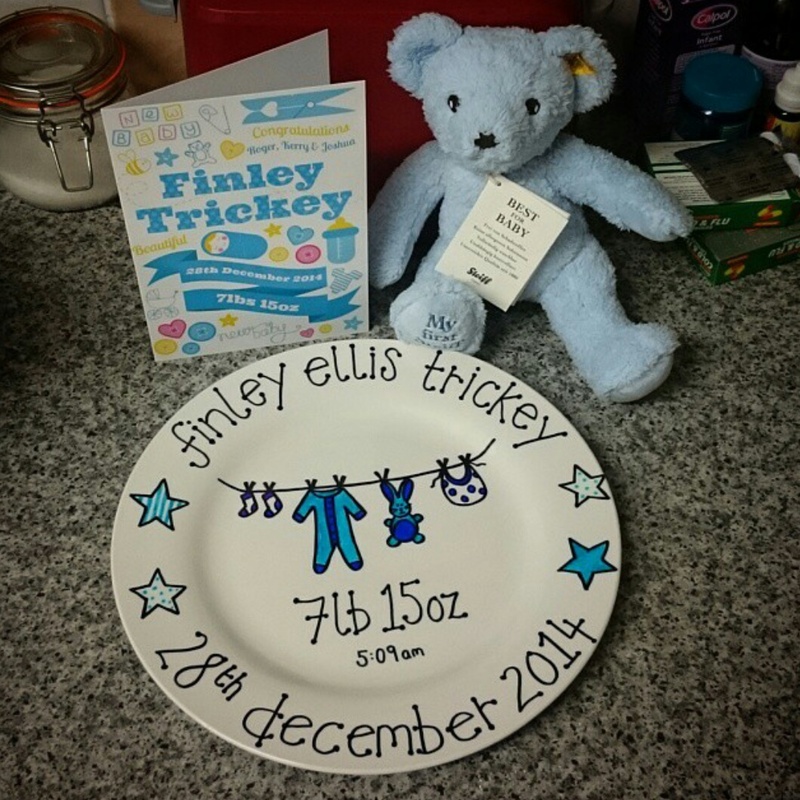 Personally I go for about £8.50, which I think is a fair cost considering the initial outlay of all materials, electricity when baking and of course the time spent doing it – but of course I do this blog to encourage you all to DIY, to save people money and spread a bit of creativity! Place in the oven (anywhere will do!) at gas mark 1, or 110f for 30 minutes and then leave to cool. Please note! 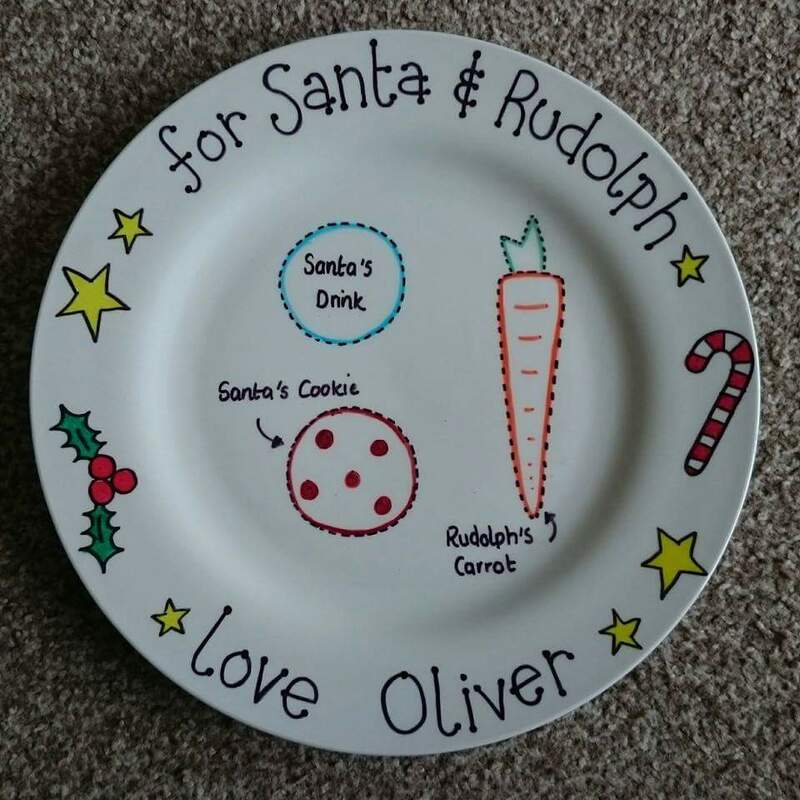 This process does not allow for washing, plates and left over Santa-crumbs must be rinsed off with lukewarm/cold water and left to air dry. They are decorative, and not for eating off of. 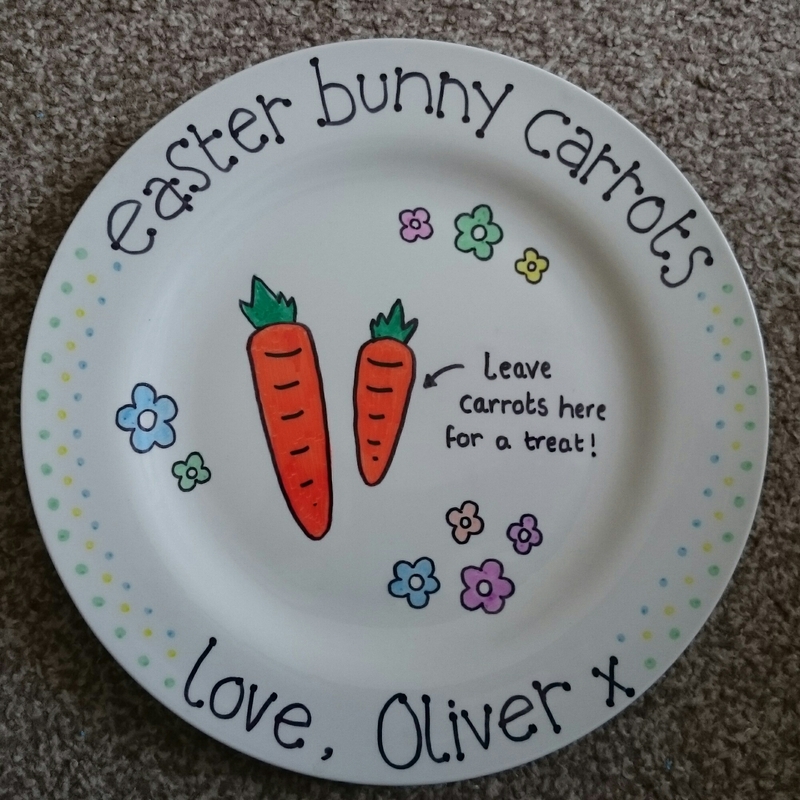 Are you giving this plate as a gift to your children? Or for family and friends? – Black inkpad ‘Memento’ from In2Crafting again. 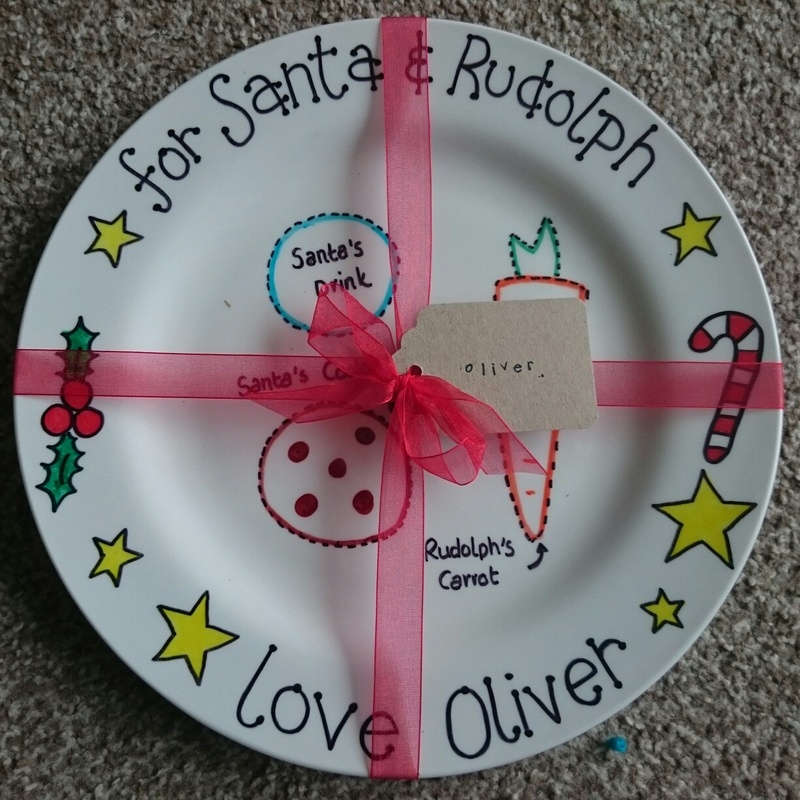 This entry was posted in Uncategorized and tagged birth, carrots, christmas, craft, DIY, easter, gift, personalised, plate, rudolph, santa, sharpie, steiff, treats by allinsonsmith. Bookmark the permalink.